I'm anti-ice cream cone. I don't judge you if you choose to get your favorite scoop placed in one, but to me ice cream cones exist only to make something enjoyable unnecessarily complicated while not bringing a ton to the party. 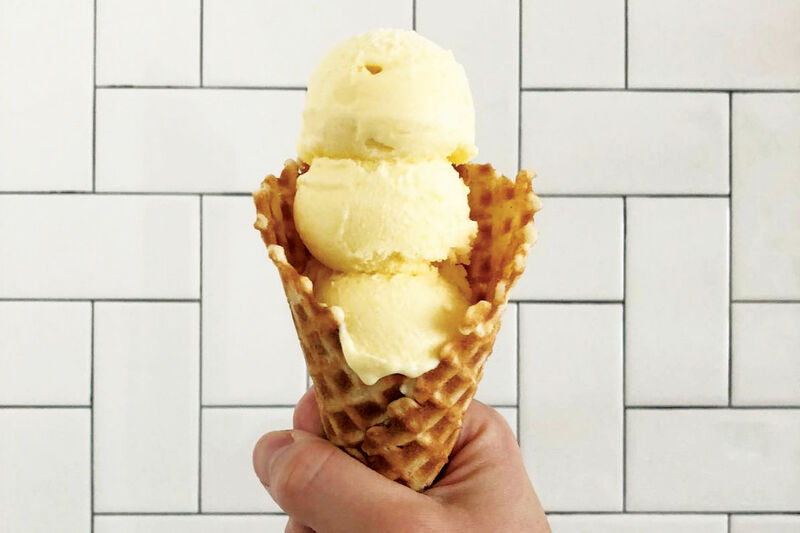 Even at Fat Cat Creamery, which has the one ice cream cone I absolutely adore, I still get my ice cream in a cup because they offer waffle cone bits as a topping. Still, I couldn't help but be intrigued by the bubble waffle. 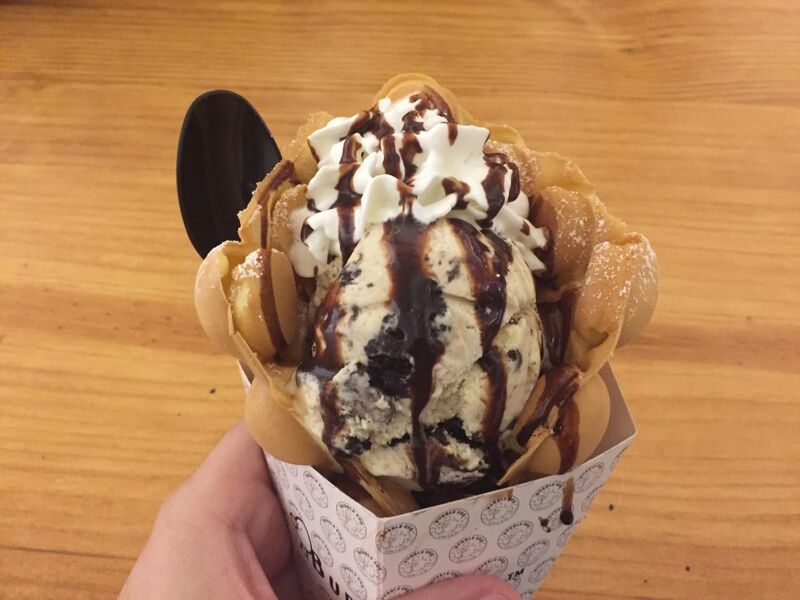 Like most everyone, my first exposure to the concept of the bubble waffle was on Instagram, where I've seen countless pretty shots of perfectly scooped ice cream topped with equally perfect looking toppings resting in the uniquely shaped waffle. On a cold Friday night, there was a steady flow of customers inside Bubble Egg, located at 9188 Bellaire Blvd., Suite B. It's a cute location, on the verge of being too small for the amount of interest it gets, and as more people lined up to order their bubble waffles the space was crowed but not uncomfortable. 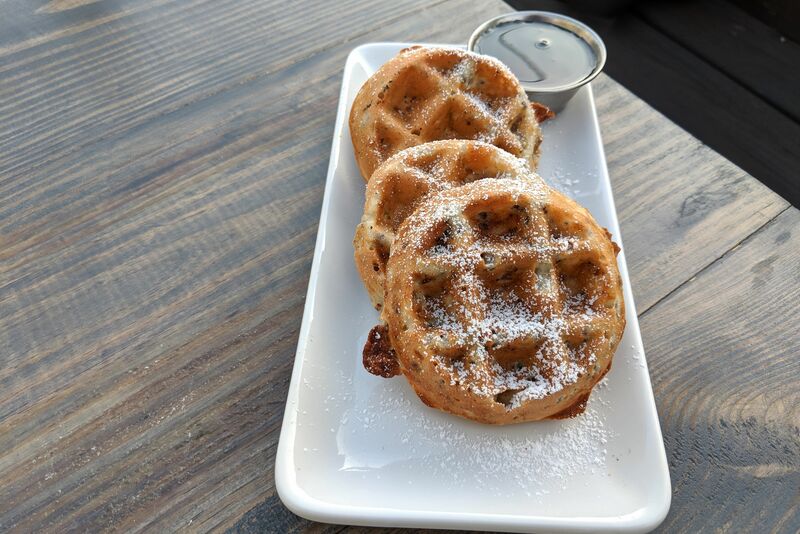 The bubble waffle itself is curious. 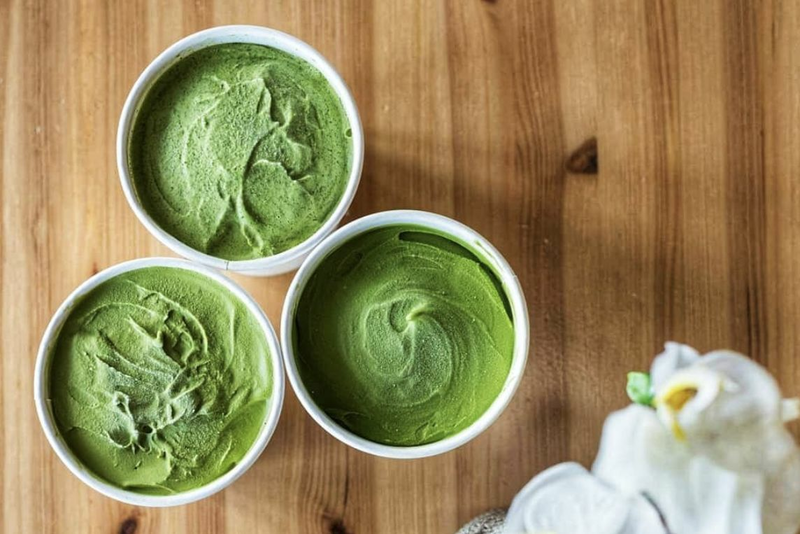 When I visited, there were two choices for the base—regular and matcha—with the potential for chocolate on the horizon. I thought the regular was the better of the two options, as even with its unique shape it was still fundamentally waffle-like. Matcha was fine, but almost too cakey without adding enough flavor to make up for it. It makes for a fun eat either way, with you having the option to pull at the bubbles as you eat your way through the ice cream or to chow down on them the way you would a regular cone. 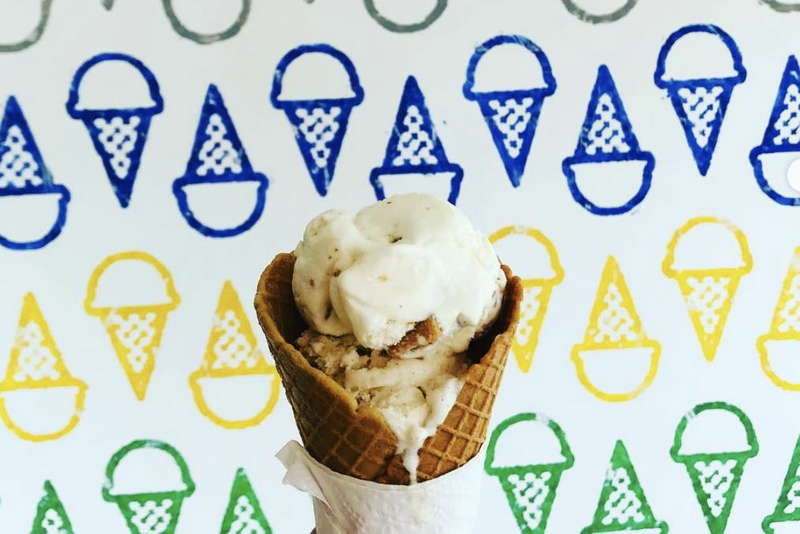 Flavor and toppings are about what you'd expect: You get your standard issue vanilla, chocolate and strawberry options along with green tea, red bean and banana pudding ice creams, with a variety of nuts, candies and fruit making up the topping selection. The end result is a treat that I look forward to experiencing again in the future.